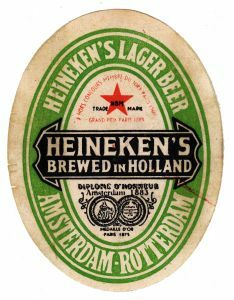 The present world-wide Heineken label as we know it today has a long history. 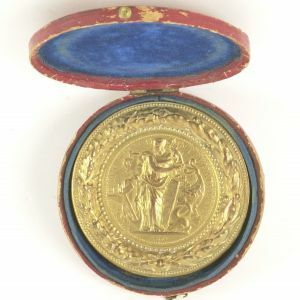 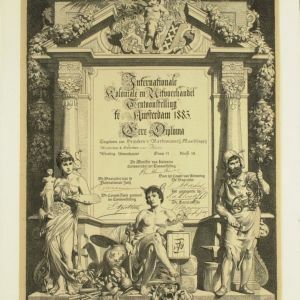 The label originates from at least 1883. 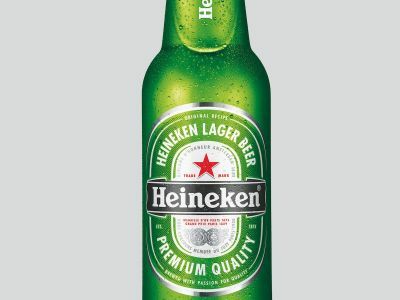 It is recognized by its oval shape and the typical Heineken green color. 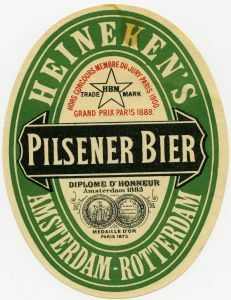 The five point star and the black horizontal bar with curled up edges dominates the label. 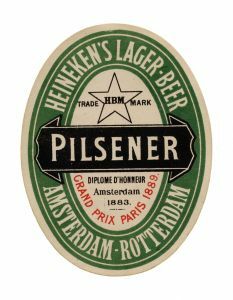 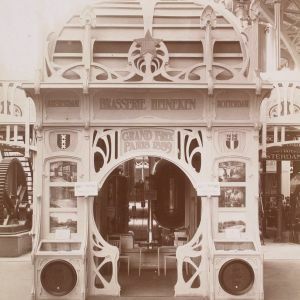 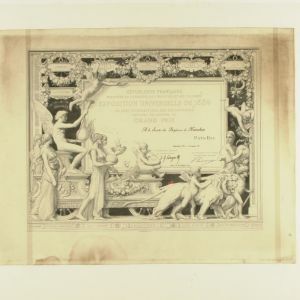 Over the years, the names of prizes won by Heineken have been added to the label: a gold medal in 1875, the ‘diplome d’honneur’ in Amsterdam in 1883, followed by the ‘grand prix’ in Paris in 1889. 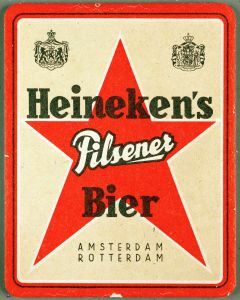 In the 1930s a different rectangular label with a large red star was launched in the Dutch market.This was when the red star first appeared on the label. 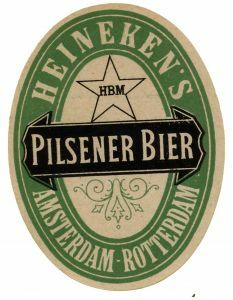 The red star was also added to the export label which remained oval and green with the black bar. 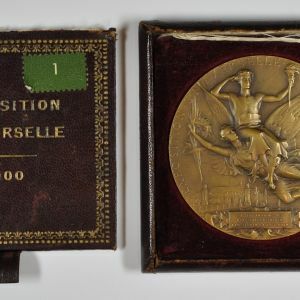 After the Second World War, in 1951, in many countries the red star -being associated with communism – changed from red to white with only a small red border. 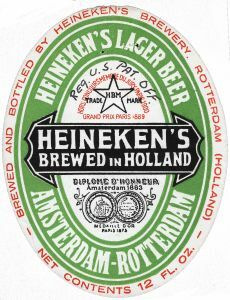 Over the years the red border of the star of all export labels gradually became more prominent, until 1991, when it became completely red again. 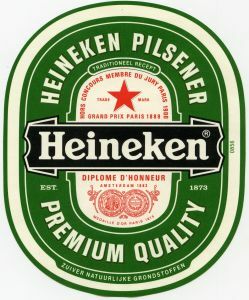 In 1954, Heineken decided to launch the typical green oval export label in the Dutch market and this was the moment when Alfred Heineken decided to have only his name on the black bar and not the name of the type of beer such as Munchener, Dortmunder or Bavarian beer as the tradition was. 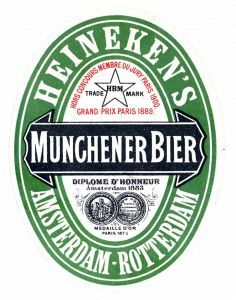 Alfred Heineken wanted the label of his beer to have a friendly presentation so he replaced the capital letters with more rounded and small letters and the ‘E’ became the ‘smiling e’ by giving them a small backward slant. 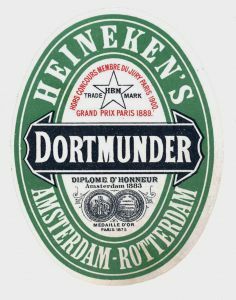 Since then the label continues to develop. 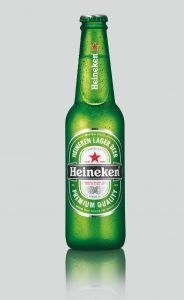 These changes take place in line with market demands and are not always directly noticed by the consumer. 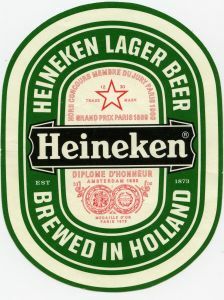 Nevertheless the ‘e’s will always continue to smile.